Ghost in the Shell is one of those impactful titles that has earned it's place in the Pantheon of anime. This series in particular is a slight re-imagining of the characters, with a slightly different art style/character design and a different voice cast than you may be familiar with from the previous GITS shows. However one thing that is consistent, is the quality of the content and storytelling. If you are into the more hard-edged cyber-thriller type sci-fi that is Ghost in the Shell, this is something you won't want to pass up. For those who have never watched anything from this franchise, there's a lot of great stuff in store for you! The first two OVA arcs of this re-imagining of the GitS world are pretty good, with a fresh origin story for not only the Major but the rest of her squad as well. Suspenseful, with high-energy action and plenty of mind-screws. There are several surprising changes to some characters, while other remain familiar. The first two arcs delve into the post-war politics of Japan's military, showing it to be a dark and twisted place, filled with monsters in human form; occasionally heavy-handed at times, but acceptable with the run-time constraints each arc had. These arcs mostly live up to much of the GitS franchise. Unfortunately, that can't be said for the remaining three arcs. After the second arc, the story becomes painfully repetitive. The series tried to create a Puppet Master antagonist, or Laughing Man if you'd prefer SAC, and failed. Completely. By this point, the series is waving certain characters in the audience's faces, but failing to properly connect the dots without resorting to techno-babble buttpulls. The Major is shown to be a bit of sucker for the exact same trick, oddly trusting at bizarre times and super-suspicious at other times; it's never consistent. The plot becomes increasingly obvious, replacing the suspense with impatience. Then comes the final arc (one not made as an OVA), and its non-conclusion. The series just dribbles off. I understand from reading about the series that the movie concludes the story, but that movies isn't available here, so I can't include it in this review. I do recommend watching at least the first two OVAs, and possibly the third. The last two can be skipped, frankly. I think this series would have been much better if it had been expanded into a 24 episode TV series. As it is, the arcs were just a bit too short for what they were trying to do. I would recommend it if you're a fan of /Ghost in the Shell or the sci-fi genre in general. I think they did a good job making it. New watchers can dive into the show without worries as it's a reimagined, retelling of the original story. Watch the 4 episodes of the OVA, then skip to episode 9 & 10 of the "Alternative Architecture" series. Episode 1-8 is just a rehashed summary of the OVA so you won't miss out on anything by doing so. 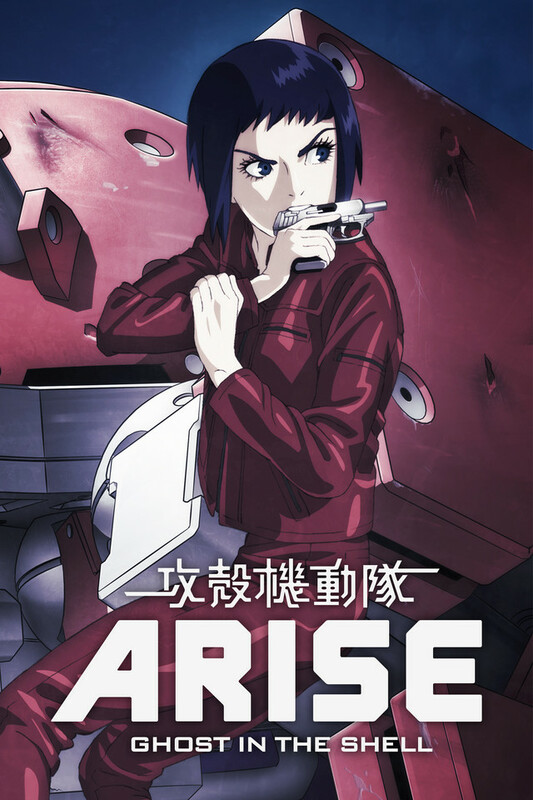 Ghost in the Shell: Arise OVA/series serves as a prequel to the movie: Ghost in the Shell - The New Movie.